The snares and difficulties attending the ministry of the gospel. I am glad to hear that the Lord is about to fix you in a place where there is a prospect of your being greatly useful. He has given you the desire of your heart; and I hope he has given you likewise a heart to devote yourself, without reserve, to his service, and the service of souls for his sake. I willingly comply with your request; and shall without ceremony, offer you such thoughts as occur to me upon this occasion. You have, doubtless, often anticipated in your mind the nature of the service to which you are now called, and made it the subject of much consideration and prayer. But a distant view of the ministry is generally very different from what it is found to be, when we are actually engaged in it. The young soldier, who has never seen an enemy, may form some general notions of what is before him: but his ideas will be much more lively and different when he comes upon the enemy in the field of battle. If the Lord was to show us the whole of the work beforehand, who that has a due sense of his own insufficiency and weakness, would venture to engage? But he first draws us by a constraining sense of his love, and by giving us an impression of the worth of souls, and leaves us to acquire a knowledge of what is difficult and disagreeable by a gradual experience. The ministry of the Gospel, like the book which the Apostle John ate, is a bitter sweet; but the sweetness is tasted first, the bitterness is usually known afterwards, when we are so far engaged that there is no going back. Yet I would not discourage you: it is a good and noble cause, and we serve a good and gracious Master; who, though he will make us feel our weakness and vileness, will not allow us to sink under it. His grace is sufficient for us: and if he favors us with a humble and dependent spirit, a single eye, and a simple heart; he will make every difficulty give way, and mountains shall sink into plains before his power. You have known something of Satan’s devices while you were in private life; how he has envied your privileges, assaulted your peace, and laid snares for your feet: though the Lord would not allow him to destroy you, he has permitted him to sift, and tempt, and shoot his fiery arrows at you. Without some of this discipline, you would have been very unfit for that part of your office which consists in speaking a word in season to weary and heavy laden souls. But you may now expect to hear from him, and to be beset by his power and subtlety in a different manner. You are now to be placed in the forefront of the battle, and to stand as it were as his main target. So far as he can prevail against you now, not yourself only, but many others will be affected. Many eyes will be upon you; and if you take a wrong step, or are ensnared into a wrong spirit, you will open the mouths of the adversaries wider, and grieve the hearts of believers more sensibly, than if the same things had happened to you while you were a layman. The work of the ministry is truly honorable; but, like the post of honor in a battle, it is attended with peculiar dangers: therefore the Apostle cautions Timothy, “Take heed to yourself, and to your doctrine.” To yourself in the first place, and then to your doctrine; the latter without the former would be impracticable and vain. You have need to be upon your guard in whatever way your first attempts to preach the Gospel may seem to operate. If you should (as may probably be the case, where the truth has been little known) meet with much opposition, you will perhaps find it a heavier trial than you have anticipated; but I speak of it only as it might draw forth your corruption’s, and give Satan advantage against you: and this may be two ways; first, by embittering your spirit against opposers, so as to speak in anger, to attack them in defiance, or retaliate upon them in their own way; which, besides bringing guilt upon your conscience, would of course increase your difficulties, and impede your usefulness. A violent opposition against ministers and professors of the Gospel is sometimes expressed by the devil’s roaring, and some people think no good can be done without it. It is allowed, that men who love darkness will show their dislike of the light; but, I believe, if the wisdom and meekness of the friends of the Gospel had been always equal to their good intentions and zeal, the devil would not have had opportunity of roaring so loud as he has sometimes done. The subject-matter of the Gospel is offense enough to the carnal heart; we must therefore expect opposition: but we should not provoke or despise it, or do anything to aggravate it. A patient continuance in well-doing, a consistency in character, and an attention to return kind treatment for hard treatment, will, in a course of time, greatly soften the spirit of opposition; and instances are to be found of ministers, who are treated with some respect even by those people who are most averse to their doctrine. When the Apostle directs us, “If it be possible, and as much as in us lies, to live peaceably with all men,” he seems to intimate, that, though it be difficult, it is not wholly impracticable. We cannot change the rooted prejudices of their hearts against the Gospel; but it is possible, by the Lord’s blessing, to stop their mouths, when they behold our holy lives in Christ. And it is well worth our while to cultivate this outward peace, provided we do not purchase it at the expense of truth and faithfulness; for ordinarily we cannot hope to be useful to our people, unless we give them reason to believe that we love them, and have their interest at heart. Again; opposition will hurt you, if it should give you an idea of your own importance, and lead you to dwell with a secret self-approbation upon your own faithfulness and courage in such circumstances. If you are able to stand your ground, uninfluenced either by the favor or the fear of men, you have reason to give glory to God; but remember, that you cannot thus stand an hour, unless he upholds you. It shows a wrong turn of mind, when we are very ready to speak of our trials and difficulties of this kind, and of our address and resolution in encountering them. A natural stiffness of spirit, with a desire to have self taken notice of, may make a man willing to endure those kind of hardships, though he has but little grace in exercise. But true Christian fortitude, from a consciousness that we speak the truths of God, and are supported by his power, is a very different thing. If you should meet with but little opposition, or if the Lord should be pleased to make your enemies your friends, you will probably be in danger from the opposite quarter. If opposition has hurt many, popularity has wounded more. To say the truth, I am in some concern for you. Your natural abilities are considerable; you have been diligent in your studies; your zeal is warm, and your spirit is lively. With these advantages, I expect to see you a popular preacher. The more you are so, the greater will your field of usefulness be. But, alas! you cannot yet know what dangers popularity will expose you. It is like walking upon ice. When you shall see an attentive congregation hanging upon your words: when you shall hear the well-meant, but often injudicious commendations, of those to whom the Lord shall make you useful: when you shall find, upon a notice of your preaching in a different place, people thronging from all parts to hear you—how will your heart feel? It is easy for me to advise you to be humble, and for you to acknowledge the propriety of the advice; but, while human nature remains in its present state, there will be almost the same connection between popularity and pride—as between fire and gunpowder: they cannot meet without an explosion, at least not unless the gunpowder is kept very damp. So, unless the Lord is constantly moistening our hearts (if I may so speak) by the influences of his Spirit, popularity will soon set us in a blaze! You will hardly find a person, who has been exposed to this fiery trial, without suffering loss. Those whom the Lord loves, he is able to keep, and he will keep them upon the whole; yet by such means, and in a course of such narrow escapes, that they shall have reason to look upon their deliverance as no less than miraculous. Sometimes, if his ministers are not watchful against the first impressions of pride, he permits it to gather strength; and then it is but a small thing that a few of their admirers may think them more than men in the pulpit, if they are left to commit such mistakes, when out of it, as the weakest of the flock can discover and pity. And this will certainly be the case, while pride and self-sufficiency have the ascendant. Beware, my friend, of mistaking the exercise of gifts for the exercise of grace. 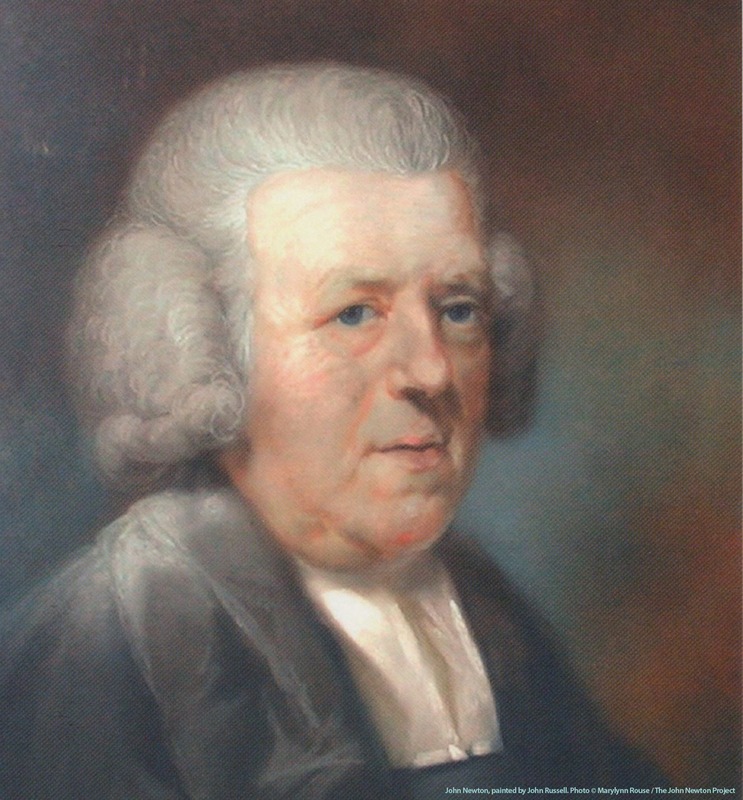 The minister may be assisted in public for the sake of his hearers; and there is something in the nature of our public work, when surrounded by a concourse of people, which is suited to draw forth the exertion of our abilities, and to engage our attention in the outward services—when the frame of the heart may be far from being right in the sight of the Lord. When Moses smote the rock, the water followed; yet he spoke unadvisedly with his lips, and greatly displeased the Lord. However, the congregation was not disappointed for his fault, nor was he put to shame before them; but he was humbled for it afterwards. They are blessed, whom the Lord preserves in some degree humble, without leaving them to expose themselves to the observation of men, and to receive such wounds as are seldom healed without leaving a deep scar. But even these have much to suffer. Many distressing exercises you will probably meet with upon the best supposition, to preserve in you a due sense of your own unworthiness, and to convince you, that your ability, your acceptance, and your usefulness, depend upon a Power beyond your own. Sometimes, perhaps, you will feel such an amazing difference between the frame of your spirit in public, and in private when the eyes of men are not upon you, as will make you almost ready to conclude, that you are no better than an hypocrite, a mere stage-player, who derives all his pathos and exertion from the sight of the audience! At other times, you will find such a total emptiness and indisposition of mind, that former seasons of liberty in preaching will appear to you like the remembrance of a dream, and you will hardly be able to persuade yourself you shall ever be capable of preaching again: the Scriptures will appear to you like a sealed book, and no text or subject afford any light or opening to determine your choice: and this perplexity may not only seize you in the study, but accompany you in the pulpit! If you are enabled, at some times, to speak to the people with power, and to resemble Samson, when, in the greatness of his strength, he bore away the gates of the city; you will perhaps, at other times, appear before them like Samson when his locks were shorn, and he stood in fetters. So that you need not tell the people you have no sufficiency in yourself; for they will readily perceive it without your telling them. These things are hard to bear; yet successful popularity is not to be preserved upon easier terms: and if they are but sanctified to mortify your pride, you will have reason to number them among your choicest mercies. I have but just made a beginning upon the subject of the difficulties and dangers attending the ministry. But my paper is full. If you are willing I should proceed, let me know, and I believe I can easily find enough to fill another sheet. May the Lord make you wise and watchful! That he may be the light of your eye, the strength of your arm, and the joy of your heart, is my sincere prayer.